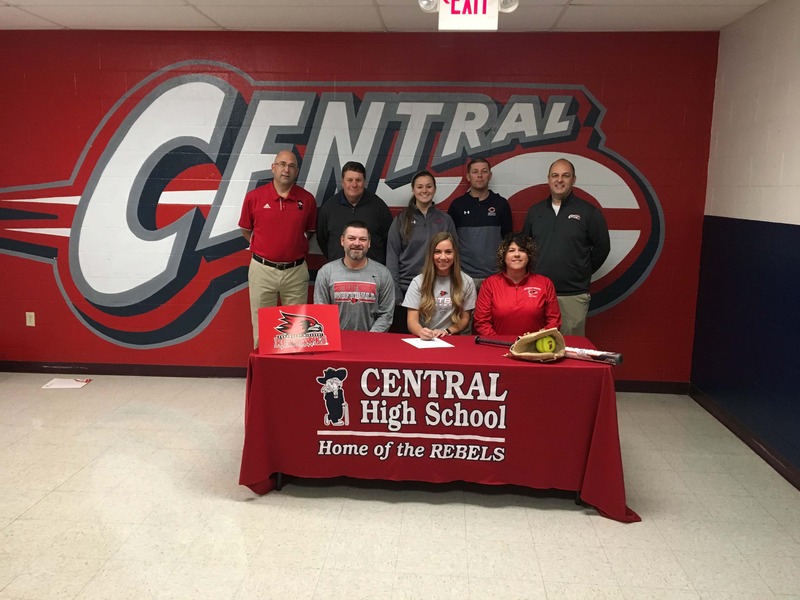 (PARK HILLS) Central Rebel Kimmy Wallen signed her letter of intent to play college softball at Southeast Missouri State University. While Wallen put pen to paper today, she has been a SEMO commit for sometime. Wallen, a Dream Teamer for the Rebels last year, tells us why she chose SEMO. Also the similarities between SEMO coach Mark Redburn and her coach and father Bryan Wallen is a big reason why she commit to SEMO. Wallen plans to study Elementary Education and will look to get into coaching after her playing career.